Boating and Marine Accidents | Florida Boat Injury Lawyers Gerson & Schwartz, P.A. Contact Miami Maritime Accident Attorney Gerson & Schwartz, P.A. Whether on a jet-ski, wave runner, open fisherman, or some other personal watercraft, boat accidents and marine related activities can result in serious bodily injury including wrongful death. Some causes of boating and related accidents are the result of negligence, or carelessness and are easily preventable. The Florida Fish and Wildlife Conservation Commission’s boating accidents statistical report for 2010 -2014 continue to show that Florida lead the nation in recreational boat accidents across the nation. For example, 62 percent of the 79 individuals killed in statewide recreational vessel accidents that year (49 victims) died from drowning. Twenty-seven of those victims (34 percent) died from trauma-related injuries, while the cause of death for the remaining three victims (4 percent) remained unknown. FWC data also suggested that alcohol and/or drugs played a role in 23 percent of the 73 fatal accidents (17 accidents) that occurred on Florida waterways in 2010, as well as 22 percent of the total fatality count (17 victims). For the last four decades, the Miami boating accident attorneys of Gerson & Schwartz have litigated the complex claims of countless boating related injuries, and boat accident cases on behalf of negligence victims. Whether you or a loved one has suffered serious injuries or died in a recreational or leisure boat accident caused by the negligence of another party, the law firm of Gerson & Schwartz is prepared to fight for your legal rights. Given that Florida happens to be both the state with the highest number of registered boats and the state with the highest number of recreational boating accidents, boaters and their passengers must heed extra caution. According to the U.S. Coast Guard (USCG), a total of 4,604 boat accidents were recorded during the year 2010. Those accidents and wrecks resulted in a total of 672 boating deaths (approximately 5.4 fatalities per 100,000 registered recreational and leisure water crafts) and an additional 3,153 non-fatal injuries. Studies show the main cause of injury and death among boating accident victims (accounting for nearly 75 percent of all fatalities) was found to be drowning. Lacerations, broken bones, back injuries and spinal cord injuries are also common. About 88 percent of those who drowned following boating-related incidents and accidents were not wearing life jackets. 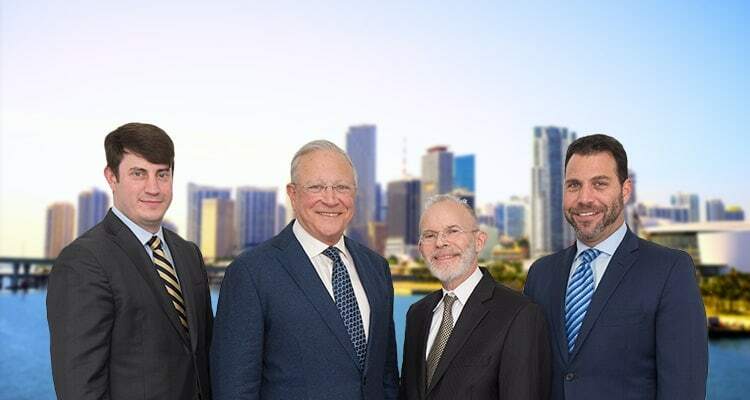 The Miami, Florida boat accident attorneys of Gerson & Schwartz, PA have litigated complex claims of countless injury, accident and negligence victims. Whether you or a loved one has suffered serious injuries or suffered a wrongful death in a recreational or leisure boating accident caused by the negligence of another party, our law firm is prepared to help you understand your legal rights. For a free case consultation email info@gslawusa.com or call (305) 371-6000. Se Habla Español. Cruise Ship Crashes into Wharf and Pier injuring Passengers Cruises have quickly become one of the most popular forms of vacationing. Each cruise is accompanied by its many activities to pick from and enjoy.